After finishing his education at Oundle School, Peter Watson was articled to Thornton Baker (now Grant Thornton) in Sheffield. After qualifying in 1969 with a certificate of merit in part 1 of the finals, he graduated from London School of Economics in 1971 with an MSc in Accounting and Finance (with Distinction). He then taught at the LSE from 1969-1978 and the Wharton School of the University of Pennsylvania from 1976-77. 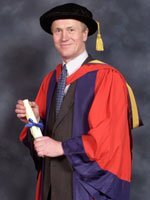 Peter Watson was appointed Professor of Accounting and Financial Management at the University College at Buckingham in 1978, at the very young age of 30. 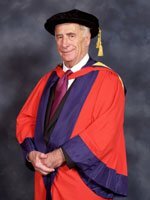 The following year he was appointed Vice-Principal and, after the granting of the Royal Charter in 1983, served as deputy to successive vice-chancellors, including a period of nearly two years as Acting Vice-Chancellor. Throughout his time at Buckingham, Peter Watson was responsible for the finances of the growing institution. He retired from the University in 1997 and now has a variety of occupations ranging from Chairman of a heavy leather tannery, non-executive director of a defence training agency to the chair of independent reviews of health service complaints. He has also written, with David Sutton, a Fellow IMCA, looking at the potential for the internet in delivering education and is currently writing a book about the challenges of delivering high quality services in the public sector. Roderick Wu was educated at Wah Yan College, Hong Kong. Before coming to Buckingham as one of the first cohort of students in 1976, Roderick Wu spent over 14 years at Deacons, one of the leading law firms in Hong Kong. After graduating from Buckingham in 1978 with a Licentiate in Law (prior to the granting of a Royal Charter in 1983 students received licences rather than degrees), he went on to qualify for the Bar at the Honourable Society of the Inner Temple. He subsequently qualified for the Hong Kong Bar, the Victorian Bar in Australia and the Singapore Bar. Since 1981 he has been practising at the Bar in Hong Kong, specialising mainly in criminal litigation. 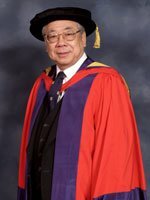 Roderick Wu has continuously served as Chairman of the University’s Alumni Association in Hong Kong since its establishment in the 1980s, acting as a main contact for graduates and representing the University at local events. He is married to Lorna, who is also one of the University’s first law graduates. Stanley Kalms was educated at Christ’s College, Finchley. He joined Dixons in 1948 at the age of 17 and over the years grew the company from a one-store family business into Europe’s leading specialist electrical retailer. Stanley Kalms was appointed Chairman of the Dixons Group plc in 1971. He is also a Governor of Dixons Bradford City Technology College, a Director of Business for Sterling, and a Director of the National Institute of Economic and Social Research. Sir Stanley is also involved in many private charitable activities including the setting up of the Stanley Kalms Foundation in London and the Stanley Kalms Readership in Business Ethics and Strategic Management at University of North London. He is also involved in the King’s Hospital ISLET Diabetes Research Programme. As well as writing many articles in the media and journals on EMU and Corporate Governance, Sir Stanley also wrote a book, ‘A Time to Change’, a review of the activities of the United Synagogue. Sir Stanley received his Knighthood in the 1996 New Years Honours for his services to the electrical retailing industry. John Wheeler was educated at Shrewsbury School, Queen’s College Cambridge (where he graduated with a 2:2 in Economics) and then the Harvard Business School, before being commissioned into the Grenadier Guards in 1951. He joined Clarkson & Company in 1956, and when he retired in 1990 he was the company’s Head of Business Development. He has held directorships at Elder Austral Chartering Pty (Sydney and Melbourne), Berndt von Blomberg (shipbrokers), Hamburg, and Andry Montgomery Ltd (The Montgomery Network – trade exhibitions). Mr Wheeler was a consultant with Mitsubishi (UK) and Chairman of BIFFEX (1988-1992), as well as Chairman of Help the Aged (Buckinghamshire) from 1990 to 1994. 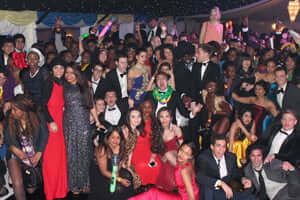 He has also held the office of High Sheriff of Buckinghamshire for the year 1994-1995. John Wheeler serves as a member of the Council of the University and was Vice-Chairman of the Finance and General Purposes Committee between 1995 and 2000. Patrick Minford was educated at Horris Hill and was a scholar at Winchester College. 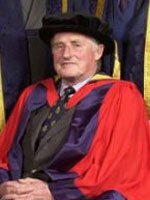 After graduating from Balliol College, Oxford (BA) and the London School of Economics (MSc Econ and PhD) he became an Economic Assistant at the Ministry of Overseas Development, London in 1966. He was Economist at the Ministry of Finance in Malawi from 1967-69; Economic Adviser, Courtaulds Ltd 1970-71 and part of HM Treasury Delegation in Washington 1973-74. 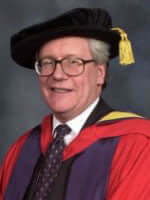 Patrick Minford was appointed Professor of Applied Economics at Liverpool University in 1976. He has been Professor of Applied Economics at Cardiff Business School since 1997. Between 1990-1996 he was a member of the Monopolies and Mergers Commission and also on HM Treasury’s Panel of Forecasters (Six Wise Men) from 1993-1996. Although it is his analysis and solutions of post-war monetary problems for which he is best known, Patrick Minford’s work also covers books and articles on unemployment, housing and macroeconomics. Patrick Minford has been a long-standing advocate of Buckingham, most notably in the strong support that he gives to the economists in the Department of International Studies.